Presenting an exceptional trophy retail asset nestled in a blue-chip Darby Street location amidst the city's most iconic cafes, wine bars, and bespoke retail outlets. Comprising of a 66m2 retail space with enviable 18m2 car space, this superb opportunity is offered with a stunning fit-out and high-profile tenant wanting to stay long term and currently under a five year lease until January 2018 with a five year option. Returning a solid rental income of $27,000 per annum and with the use of a separate lock-up wc within the prestigious Darby Apartments, this is a rare opportunity to secure a hassle-free investment within one of Newcastle's highest growing suburbs. 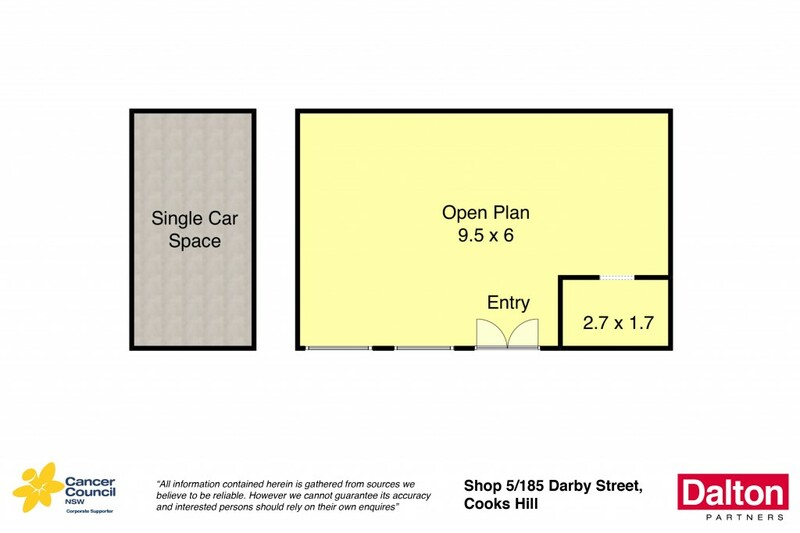 * Extremely rare retail offering in one of Newcastle's highest growth suburbs. * Unbeatable Darby Street location set amidst vibrant cafes and bespoke retail outlets. * Superb tenant wanting to stay long term. * Solid return of $27,000 per annum. * High-profile tenant currently under a five year lease until January 2018 with a five year option. * Shop size is 66m2 plus 18m2 car park = a total of 84m2. * Full use of a separate lock-up wc located within the prestigious Darby Apartments.